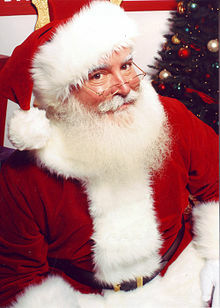 Ever since I was a kid and like millions if not billions around the world, when we hear the word “Santa” we automatically draw this visual image of an older man, heavy built, a white beard, high rosy cheek bones, and eye glasses on. But most importantly, what really makes him stand out is his uniform. Just like superman or batman or any other superhero, we can easily identify them simply by their uniform. While most of the superheroes prefer to wear tights, we see that Santa Claus has chosen a thicker uniform, and that’s because he lives in a place where no man can survive, “the north pole”. If it’s freezing in the summer time, you can only imagine how cold it gets in the winter time. While most of the superheroes claim to provide protection to everyone on earth all-year round, we hear of Santa whose only purpose is to deliver toys in one night. That to me, is a lot of work; Not only that, he also has to make sure that only those that deserve a toy would get one, and those that were naughty shouldn’t. It is really hard for him to come down the chimney to begin with, but now imagine he only has to leave one toy for one of two kids in a household, “the good boy”. 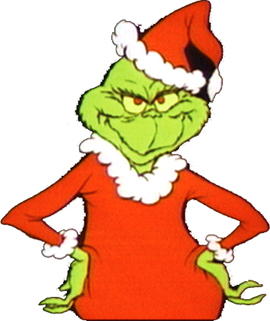 I know the second kid will side with the Grinch, that’s what I would do if I were him. But that’s not the point, the main question I have always had is: What does Santa do when he is delivering toys in places where his “freezing proof” uniform is now acting more like a “Surround Sauna”? Does he have “Santa shorts” uniform with a sleeveless “Santa Jacket” that is not made of fleece? Do kids leave him milk and cookies in those countries or maybe he would rather have a refreshing glass of lemonade instead? If he is flying over Washington DC, will we see the US Air Force scrambling a couple of jets escorting him away from the White House? I am not sure what the answers are, but would love to hear some suggestions.